In March of 2011, well-armed “rebels” who were trained, armed and funded out of Saudi Arabia, Jordan, etc. fomented a revolution in Syria to topple dictator Bashar Al Assad. The majority of these “rebels” were radicalized Wahhabi Muslims, who believed in the most extreme and literal interpretation of the Koran. These men saw Assad, who had a secular (not controlled or directed by religion) government and a nation with different sects of Christians and Muslims coexisting peacefully, as an “infidel” who needed to be disposed. The media in the west painted the picture of “peaceful protesters” taking to the street to protest an “oppressive regime” and being attacked unprovoked by the Assad government. This was a deliberate obfuscation of what was actually taking place. These rebels had the support of the United States Government and NATO, who had long sought to take out Assad due to his unwillingness to cooperate with International Usury and Corporate Globalism, which sought to exploit Syrian people and resources. The Assad regime is also a key ally of Iran, who has long been at odds with the Zionist State of Israel and its protectors in NATO. Retired NATO General Wesley Clark stated in an interview that Iraq, Libya, Syria and Iran were regimes that elements within NATO et al had openly planned to take out long before there was any “crisis” situation presented that justified doing so. Lastly, there is the Russian connection, as geopolitical control of the region allows the Anglo-American Alliance to move in on the borders of its old nemesis, Russia, which mirrors the Great Game of the British and Russian Empires in the 19th century as well as the Cold War of the 20th century. 1) Syria’s Central Bank is state-owned & controlled (the U.S. Federal Reserve is NOT- it is privately owned). 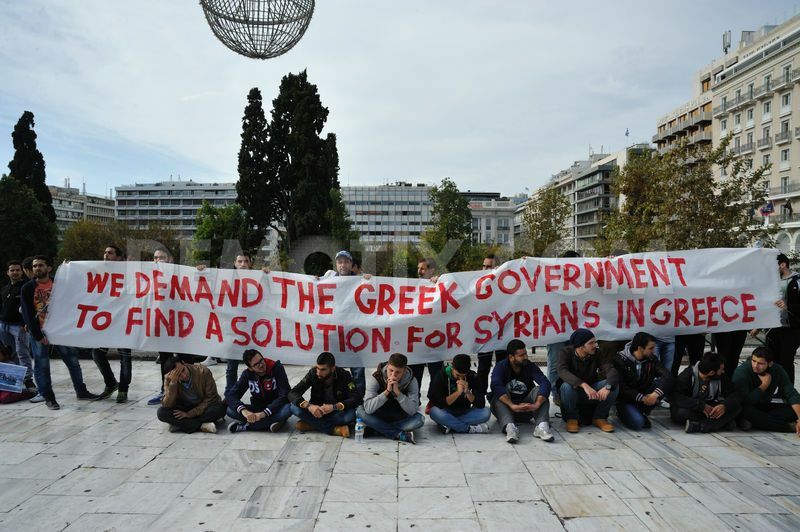 2) Syria has no IMF (International Monetary Fund) debt. 3) Syria has banned genetically modified (GMO) seeds. 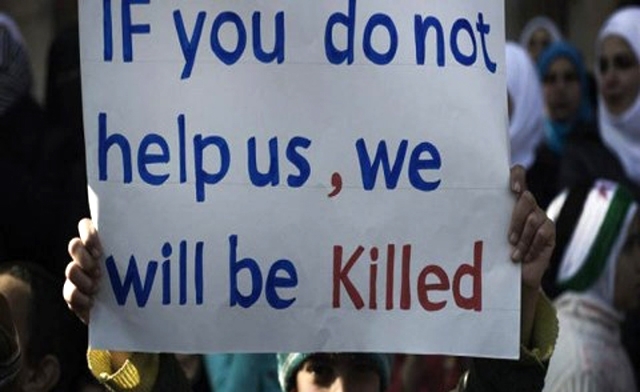 4) Syria’s population is well informed about the global power elite’s influence in world affairs. 5) Syria has massive oil and gas reserves. 6) Syria clearly and unequivocally opposes Zionism and Israel. 7) Syria is one of the last secular Muslim states in the Middle East. 8) Syria proudly maintains and protects its political and cultural national identity. There is no room for a truly sovereign or self-determined nation or people in a globalist system. Nationalism is diametrically opposed to Globalism. 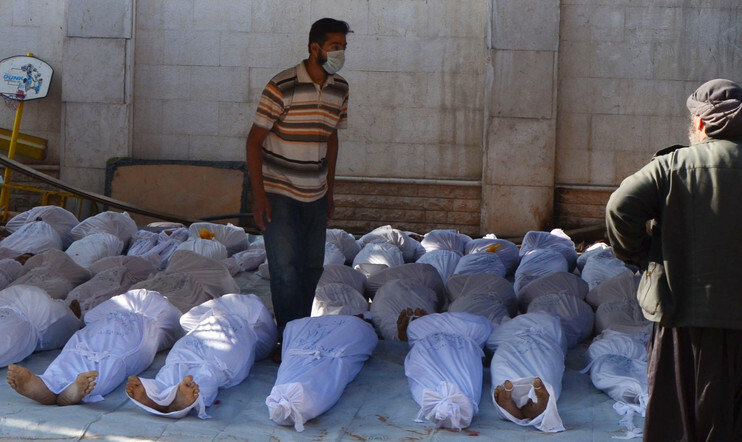 People may remember the infamous Ghouta chemical attack back in August 2013, in which Syrian civilians were attacked with chemical weapons- a scenario that the Obama Administration had repeatedly warned for months prior would force “military action”. However, things would not go as planned, as a massive outcry from a war-weary American public as well as sane voices within the Pentagon prevented the intervention into Syria that the war-hawks and corporate cartels had wanted. It later came out primarily in the alternative media, that the it was not even the Assad government that perpetrated the attacks, causing the story to further unravel. Then, seemingly out of nowhere, came ISIS. Well, not really out of “nowhere”, per se. 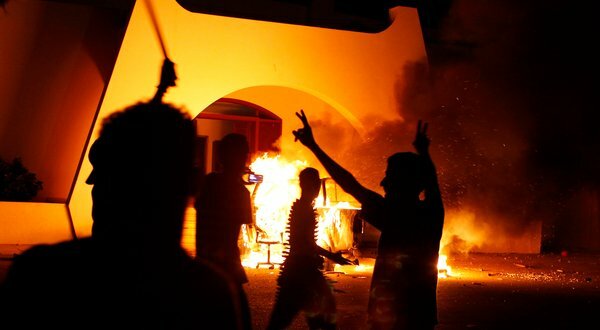 On September 11th, 2012, the U.S. Embassy in Benghazi, Libya; another formerly secular and sovereign nation that was toppled and destroyed for the same reasons the west is trying to topple Syria; was attacked by well-armed insurgents whose ultimate goal was to loot a weapons storehouse that was in the back of the Embassy. They accomplished this as they were almost completely unopposed save for a small group of Navy SEALS who defied a stand-down order that would have had to emanate from the White House. These insurgents made off with a payload of heavy artillery and it was later confirmed by people within U.S. Intelligence and the Military that these weapons indeed made their way to the “rebels” in Syria. In April of 2013, the Al Qaeda (which was also trained and funded by the CIA and has had known CIA assets as leaders) affiliate known as ISIS or ISIL “officially” established itself in Syria, and then began raising hell in Iraq that fall, torching towns and stealing oil fields. 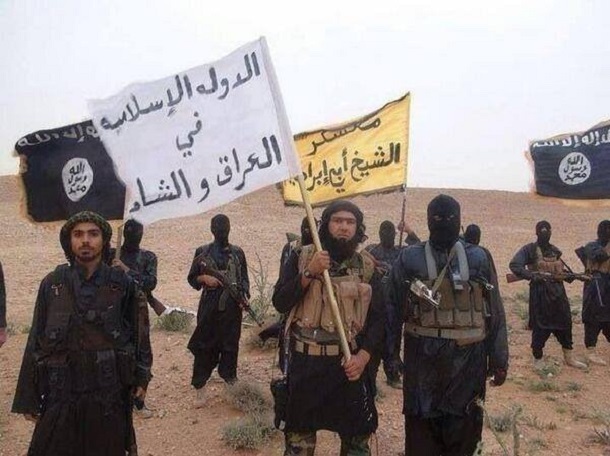 It should be noted that the black Wahhabist flag- the flag of Al Qaeda, which became the flag of ISIS, had been flying high as a banner of the rebel insurgency since the beginning of the Syrian Civil War, so to say that this group appeared just recently is a bit misleading. It was the media hype and spin around the situation that swiftly changed from this group of ideologues being “freedom fighters” to “dangerous extremists”. 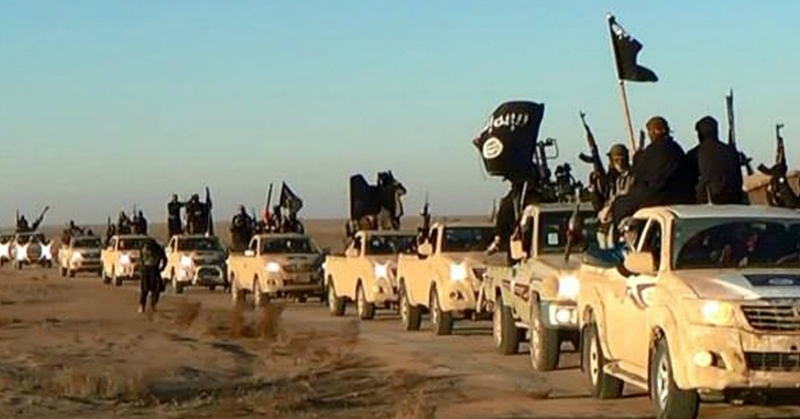 ISIS is very vocal about its desire to eliminate all “infidels”- including those in the west. Then there were the beheading videos- some real, some obviously fake. The ISIS narrative has become something of a mix between gruesome reality and fantastic propaganda suitable of an Orwell novel. The “leader” of ISIS, Abu Bakr Al-Baghdadi, is another known Intelligence asset. However, this growing threat of ISIS seems to give the Obama Administration justification to intervene in Syria after all. Make no mistake, the Syrian “rebels” that D.C. is now openly giving aid and weapons to as long as they “promise not to become radicalized” (seriously), are hopping on the ISIS train if they weren’t on it in the first place. Interestingly, there have been opportunities for drone strikes, as ISIS openly paraded in celebratory marches on foot that stretched for miles from town to town in U.S.-occupied Iraq, but no such thing occurred. So, long story short, Syria (as well as Iraq, Libya, etc.) is almost completely decimated and being taken over by this well-armed, well-trained, and well-funded force that is terrorizing everyone in their path and slaughtering those who do not subscribe to their view of Islam. It is also being touted that the Assad regime’s time is limited, as even their ally Russia is beginning to withdraw support (they too are fighting a U.S./NATO-manufactured war on their border). 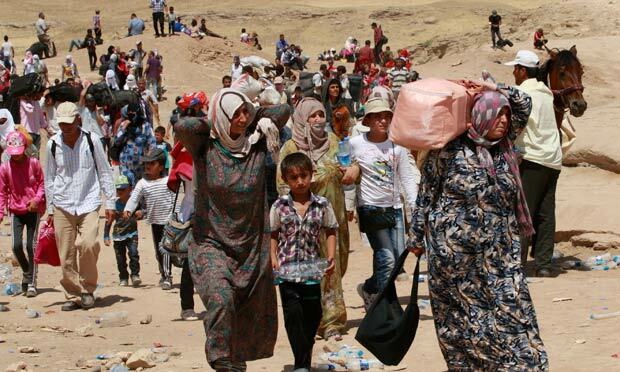 Meanwhile the people of Syria and other parts of the Middle East and North Africa are fleeing for their lives in the worst refugee crisis since World War II displaced continental Europe. These Refugees are starving and desperate, packed onto dangerously overcrowded lifeboats and headed toward continental Europe. This brings us back to the prayer in question, asking folks to pray that the countries of Europe open their arms to these refugees. One problem here is the question of what happens when the population of a nation doubles almost overnight? It has been said that a nation is like a lifeboat- if you have too many people, the whole thing tips over. In the world of debt-based economies and physical space, resources are finite and limited. 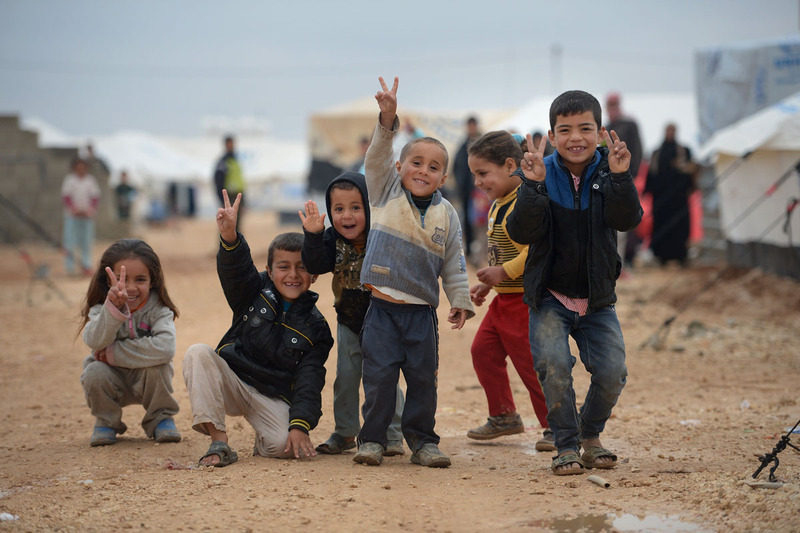 While our heart may go out to the plight of those displaced by the Syrian conflict, what of the nations and the people that make up those nations in which this flood of refugees is headed to? Europe really isn’t all that big. But nowadays, the culture of Europe has become so “politically correct” that to advocate for the interests of native Europeans in any capacity whatsoever is seen as “racist”. 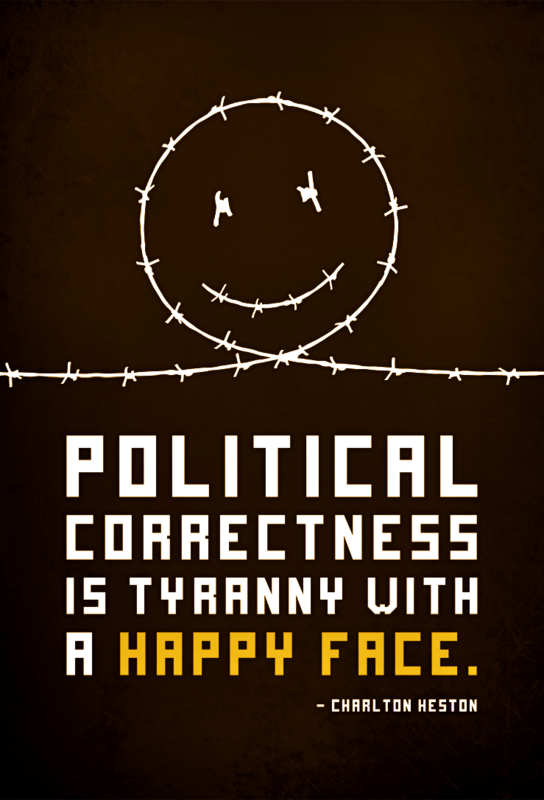 This institutionalized political correctness is far more entrenched there than it is here. Europeans are taught that it is a form of penance for colonialism, etc. (even though many European countries did not have colonies) to accommodate the wants and needs of non-Europeans to the point of extreme self-detriment. 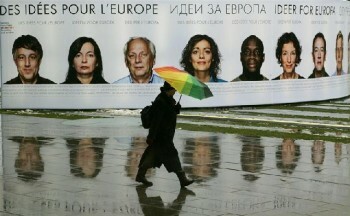 The political class of the E.U. fully promotes this sort of cultural martyrdom, as evidenced by Swedish Conservative MP Fredrik Schulte’s recent suggestion that “ordinary” Swedes should be encouraged to remodel their garage to house immigrants. Since the end of World War II, the people in Europe have been increasingly indoctrinated with the idea that it is honorable to put the needs of another’s “family” superior to that of their own “family”, as a tribe, a folk and a race are essentially a genetic extended family. This isn’t “service to humanity”; this is turning your back on family. I’m pretty sure for what it’s worth Jesus wouldn’t have kicked his mother Mary on the street to house escaped Roman slaves from North Africa. This is why I feel a deep unsettling around these events, as should others reading who are of European descent for the reason that these people are our distant (and not-so-distant for some) relatives and that means something on more than a physical level. Blood transcends purely physical incarnation and has a spiritual element to it. Of course, you have nations like Hungary that are putting their foot down with all of this and are demonized by the rest of Europe as being “intolerant” and “racist”. This is the moniker given to any group in Europe that seeks to maintain any form of sovereignty or “national identity”- “the great evil”, as it has been tied to National Socialism and Fascism. This is why groups such as the Golden Dawn in Greece are so demonized while thousands of migrants pour into a country that is collapsing. 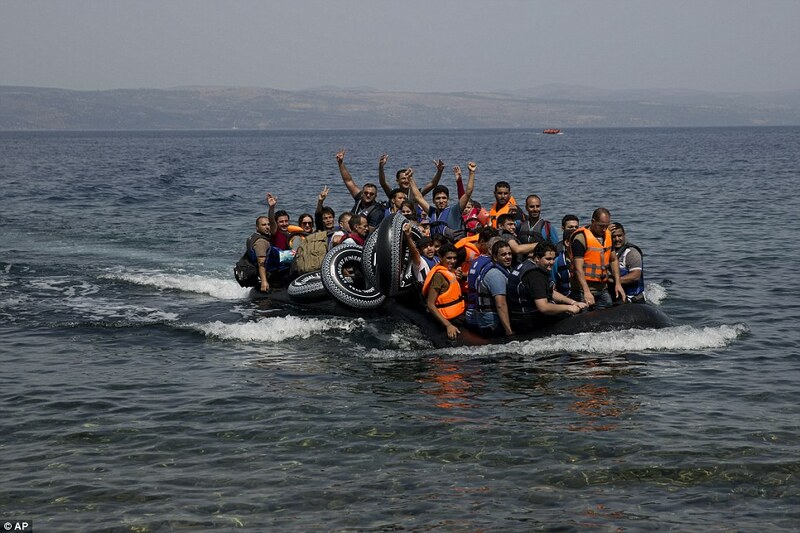 One one Greek Island as many as 6,000 refugees poured in seeking aid in one day. Small towns throughout Europe are doubling in size almost overnight, severely taxing already limited resources. 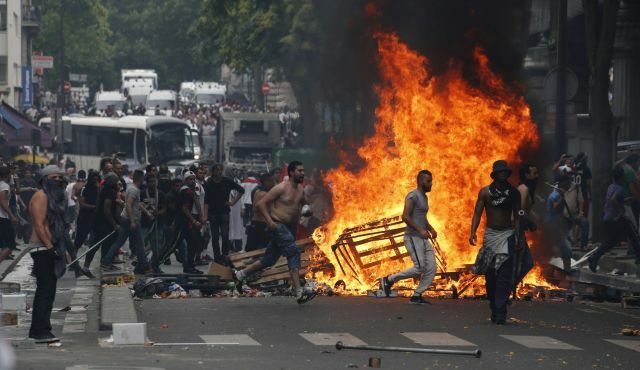 Make no mistake, Europe as a whole is collapsing economically and this massive wave of migration may just be what helps to push it over the edge. At that point, the remaining property and resources of once-sovereign nations will be bought up for pennies on the dollar by financial oligarchs who promoted the “multiculturalism” that has the population in “survival mode” and too distracted to do anything about being robbed blind. Elsewhere, truckers in the port of Calais in northern France as well as other parts of Europe are finding themselves being swarmed by desperate immigrants looking for a ride to asylum in the U.K., which at times causes violent conflict. This isn’t hateful xenophobic propaganda; this is just what happens when people are desperate for survival. What is also not xenophobic propaganda is the fact that there is a difference between integrating individuals into a group as individuals and the (forced) integration of an entire group of people into another group. You are dealing with two very different modes of consciousness and behavior patterns- individual vs. collective. People will act different when they have the protection of their “tribe” then when they are trying to establish an individual relationship with members of another “tribe”. What I’m saying is that forced integration of groups that are very different on a large scale will inevitably cause conflict and alienation. This is what is happening in Europe now. 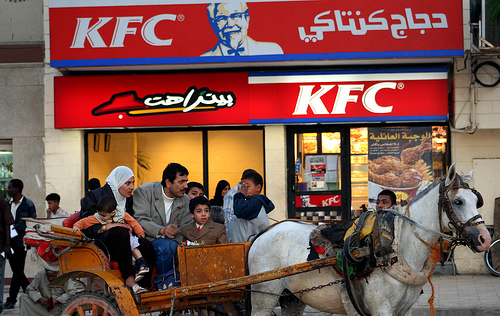 This is the “Clash of Civilizations” between the east and west that many have written about. 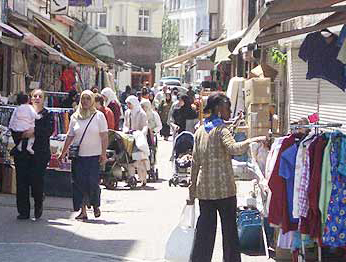 The majority of the population who have been immigrating into Europe from the Middle East and North Africa, not just in the latest wave, but over the past couple decades, have no desire or incentive to assimilate or be “European” in any way, but are still encouraged to collect European government assistance. Many of the young men who make the initial trek to establish themselves before sending for their family are not necessarily fond of the European peoples and are culturally, VERY different. 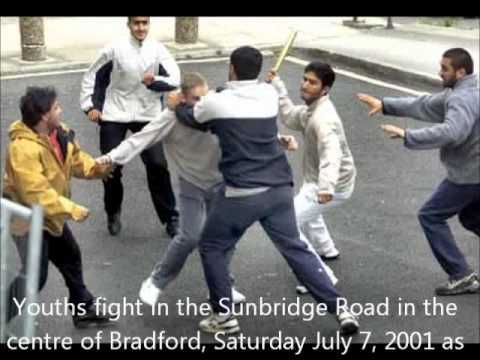 Many of these young Muslims have a deep resentment and hatred towards the west and many are joining the cause of ISIS in its recruitment of sleeper cells and fighters for “jihad” the world over. A lot of this can be seen as blowback for the interventionist actions of NATO, the U.S. and Israel that killed people’s families in the Middle East, but the fact is that most Europeans had nothing and wanted nothing to do with any of that. 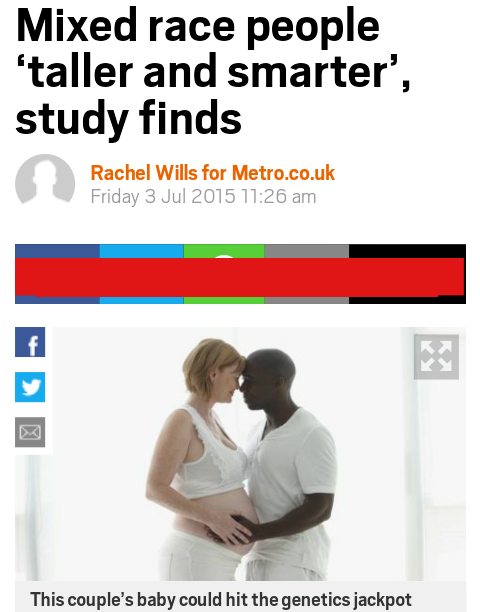 I am not trying to pass judgment or demonize interracial romance and cross-pollination of cultures; people have the freedom to choose to love and associate with whom they want; but simple calculation shows that if this trend continues on its natural course completely unchecked on such a large scale, it is only a matter of time before France will no longer be French, Sweden will no longer be Swedish, Germany will no longer be German, Italy will no longer be Italian, and England will no longer be English- ethnically, racially or culturally. Interracial coupling has been a reality to one degree or another for millennia, but never has it had the full power of corporate marketing and political propaganda pushing it as “trendy rebellion” and even “moral duty” as it does now. I’m not willing to label any of this is as “good” or “bad” (personally, I am attracted to women of all different races); I mean is a lion and a tiger mating and making a “liger” bad? I don’t think so, but I wouldn’t want there to be only ligers one day, either. What I am saying is that this is something we may want to step back and take a second look at before continuing full-steam ahead with. The individual races of humanity exist as individuations for a spiritual reason. They should be honored and understood; not just thrown into a blender while mindlessly repeating the mantra: “WE’RE ALL THE SAME”. I suggest folks seriously take a look at whether our ideas and ideals around all of this are actually our own, or if someone somewhere just played into our emotions and planted a thought or belief system they desired us to have- planting a seed that germinated, while we believed it was our own. Are we truly being motivated by higher principles or are we just politically correct parrots? 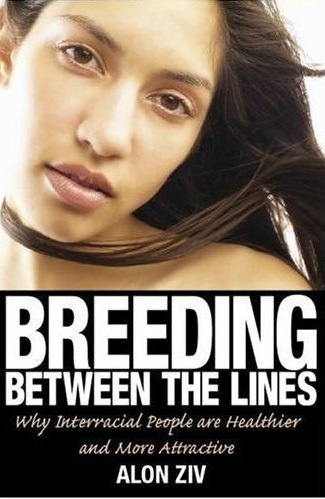 Think about it- the elite classes of the world that are the prime shareholders and promoters of Globalism have always been strict about maintaining “purity” (sometimes to the point of inbreeding) amongst themselves, so is it not funny that homogenization is now being pushed on the rest of us- black, white, brown, yellow, etc. to such a degree in billboard ads, commercials, TV shows, movies, books, etc. (even more so in Europe)? Isn’t it funny that these politicians and academics and media pundits sit back in ivory towers telling people to do what they themselves do not? 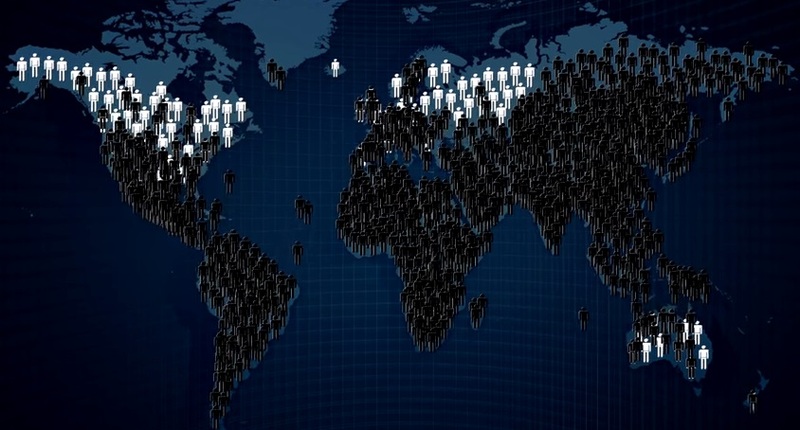 Europeans make up only about 10% of the world population and have genetically recessive traits. It is also only in countries that have (or had) European majorities that this sort of replacement level migration and integration is promoted and encouraged. 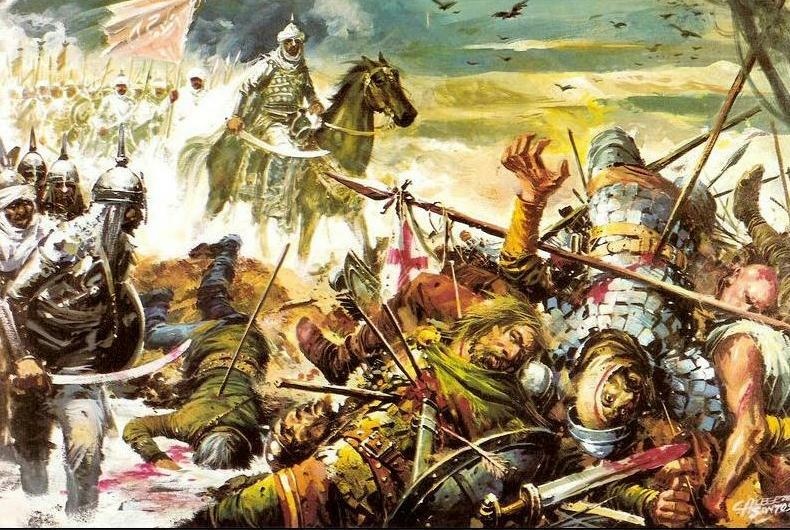 While there have been invasions of Europe by the Moors and other kingdoms and tribes in the past, nothing has ever approached this in sheer scale and magnitude and been met with so little resistance. The logical end result here is that Europeans, as we know them, good and bad, will be no more. This is a genocide on a slow and subtle level- on a level that begins in the mind through guilt-based indoctrination and a slow erosion and replacement of native folk culture and tradition (modern commercial pop-culture is NOT European folk culture). It is hard to see or even believe at first as we associate genocide with blatant mass-slaughter, but it is real and it is happening right in front of us. This is not to discount the reality of the hard genocides and depopulation tactics used against Palestinians, or sub-Saharan Africans or the Indigenous peoples of the Americas, or any of the “dark-skinned” impoverished populations of developing world or the developed world for that matter; it is just a different type of operation for a different type of people. Multiculturalism goes hand-in-hand with Globalism. It creates an endless supply of cheap labor, using people who are already accustomed to living under despotism. It also creates a political army of dependents who are faithful and obedient to the State that “saved” them and sustains them. The goal is for them to overwhelm, absorb and replace those pesky Euro-types with their crazy ideas of individual “rights” and “freedoms” and “living standards”, who have outlived their usefulness. At that point, the new proletariat can be absorbed into the plastic “Monoculture” of pop-consumerism, fast food, pharmaceuticals, wage slavery and debt until they no longer serve a purpose and can be “disposed” of. “Judge not lest ye be judged.” It is no person’s place to judge and decide the karmic fate of another, regardless of whatever real, perceived or imagined “wrongs” they or their ancestors may have done. There are very few true “innocents” among any members of the tribes of humanity. Nearly all human beings have done “wrong” in the present and/or in past incarnations. Perhaps one could even argue that this is just part of the continued evolution of humanity as we move into the next Age. 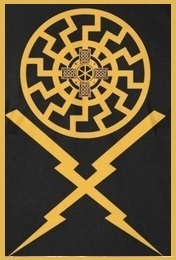 However, I have a hard time believing that the materialist political ideologies of Nikolaus Kalergi, Franz Boas, and Cultural Marxism are going to guide anyone towards a point of spiritual ascension. And personally, and I know this is a “racist” thing to say, but I’m kinda fond of white people and I don’t really wanna see them (or any other peoples) become extinct, despite of any racial and/or cultural “character defects” they may or may not possess. We should be careful not to try and fill in the details as to how these refugees are protected or where they go or who should do what for them. Once we start monkeying around with the wires here, things tend to get messy.